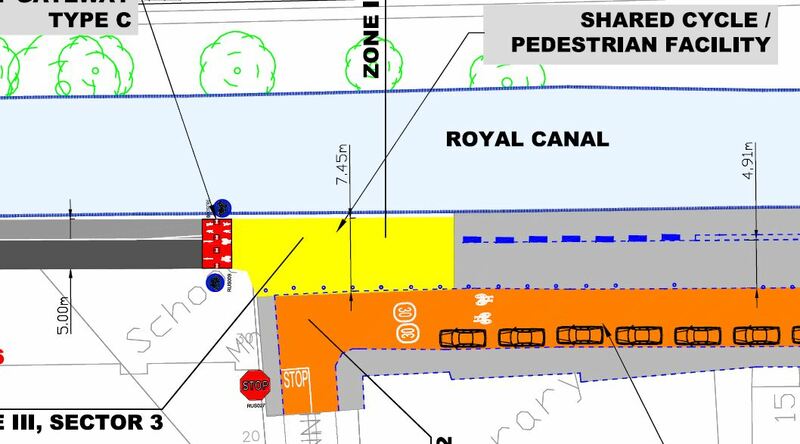 COMMENT & ANALYSIS: A Planned cycle route along the Royal Canal in Dublin will make up part of a commuter cycling route between the Dublin Docklands, the city’s densely populated inner northside, Ashtown, Castleknock, Blanchardstown, Leixlip (passing by Intel Ireland), and Maynooth. It’s a greenway with bucket loads of commuting and transport potential. It will also be a part of the Dublin to Galway Greenway. 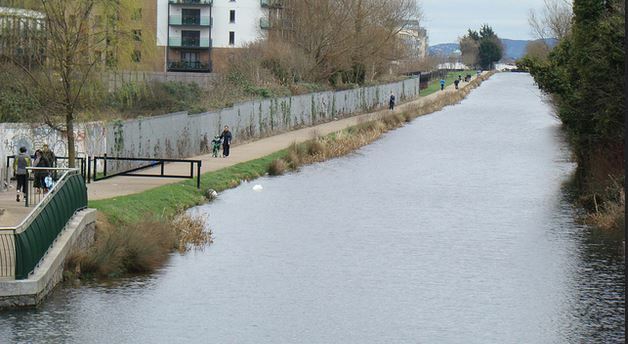 As we reported on Sunday, public consultation has started on the Royal Canal Greenway in Dublin City. Below is a more detailed look at the planned 7.1 km cycling and walking route from Sheriff Street Upper to Ashtown along the Royal Canal. Images and drawings, unless otherwise noted, are from the Dublin City Council planning files. The route starts off at the location of the current restrictive gate east of the newly developed urban centre of Ashtown — and the good news is that this gate and the others along the route will be removed. 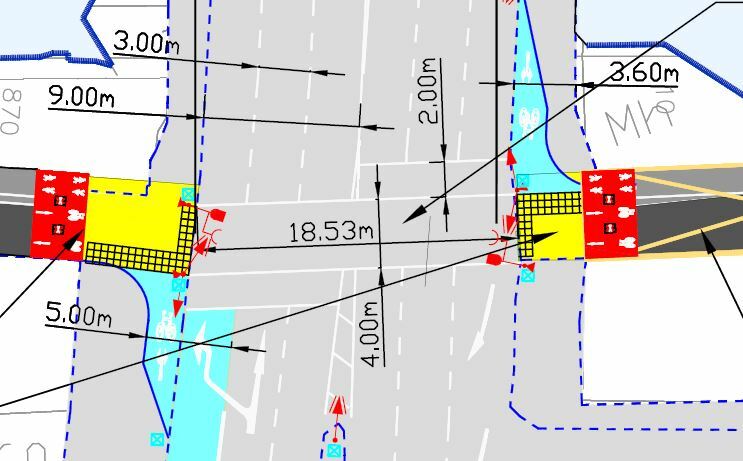 If all of the gaps are 1.4m as shown in drawings below, this should allow access by wheelchairs, prams, cargo bicycles, cargo trikes, bicycle trailers and mobility devices. The drawing here show the western start of the route, with the removal of the “kissing gate” barrier. Here is a cross section of the first section of the route. 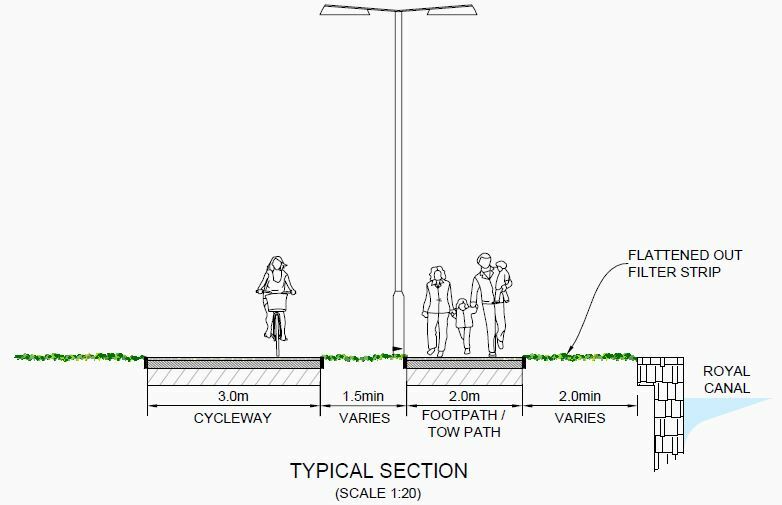 There is planned land acquisition, yet the two-way cycle path remains relatively narrow at just 2.5 metres. This is enough for two-way cycling but not really a premium product able for a contained boom in cycling, for commuting or leisure. 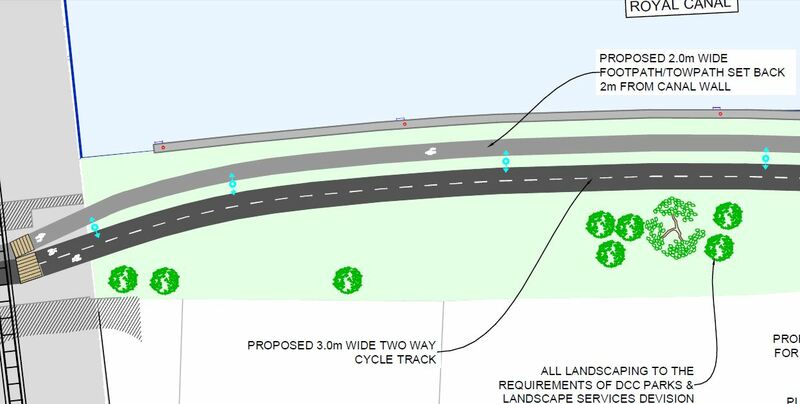 Why not extend the cycle path to 3 meters? The footpath is of a good width. 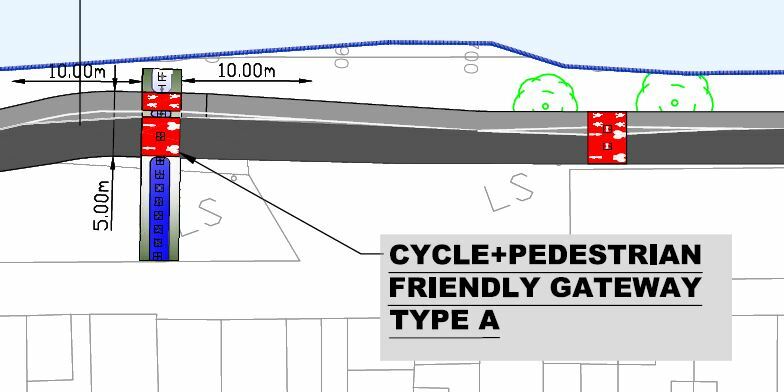 People cycling are also set to be told to yield to side paths — a very strange situation where priority is given over to a side path (this is also being planned on the S2S north of Fairview). This follows a history of councils giving motorists on side roads priority over cycle paths on main roads. Why are people on bicycles always told to yield? Why not follow the international norms of side roads or paths having to yield to main route? Clearly there are expections to that norm, but rarely for minor paths with little use. This layout of yielding to side paths is repeated. It’s not long before share use (yellow) rears its head without good reason. The cycle path section could be put around the trees. A very basic outline of how the cycle path could have went around the tree line.. The first road crossing at Broombridge. It is unclear why there is shared use marked on the footpath on the east side footpath of Broombridge / Broombridge Road. Here’s another restrictive width cross-section even after land acquisition. That last cross section is the red section shown to the left of the drawing above. As you can see existing canal bank gets a lot wider, but closeups show that the width does not seem to increase away from pinch points. This is an understandable share use section under a narrow underpass — a railway line passes over it and it would cost a lot to widen. This yield is to an unused or little used site. This cross-section shows a shared road which allows for the only access to a few houses along the route. 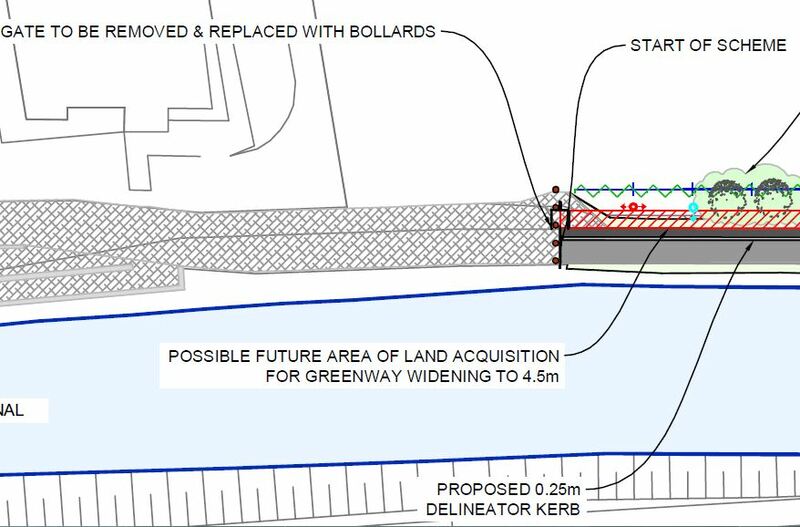 There is possable future potential to eat into the higher bank shown on left to the widen the greenway at this point to allow for a footpath. This the first major junction at Cross Guns Bridge between the Phibsborough Road and Hart’s Corner. Shared use sections (yellow) at this and other junctions will cause more conflict. 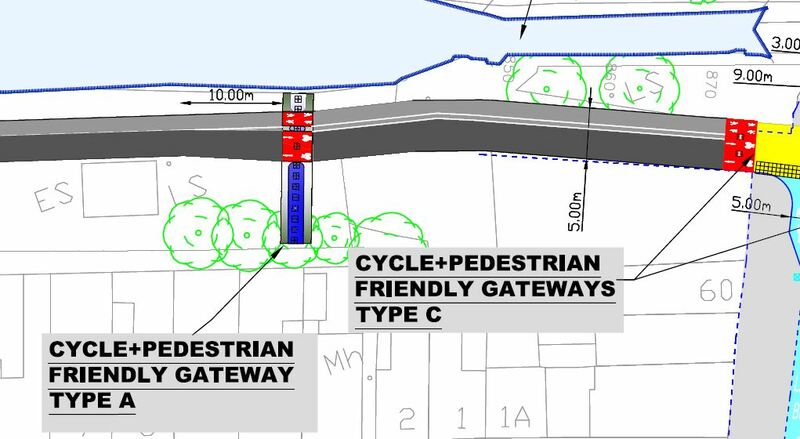 At the west side of the junction, the cycle path should be reestablished where the shared access road ends. When people on bicycles are waiting to cross the design will result in bicycles blocking already busy and sometimes narrow footpaths, as the ones shown above. When the lights for the crossing are green, the flow from one side of the greenway to the other will be hindered by people walking along the streets intersecting with the greenway. The shared use sections of footpaths are not needed here. If Dutch and Danish cycle route designers can create routes without generally mixing cycling and walking, Dublin and the rest of Ireland should be able to as well. The design of an urban greenway we have used in Copenhagen comes to mind. Here cycling and walking are given their own space. 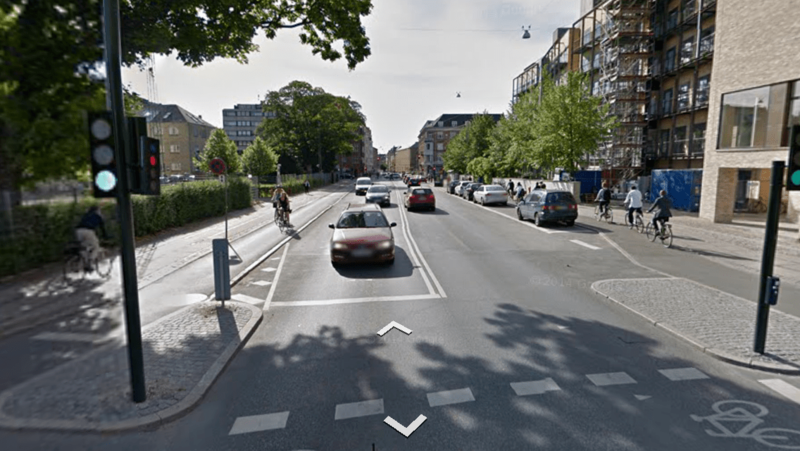 This shows a different view of a greenway junction in Copenhagen. The cycle paths along the streets intersecting with the greenway would be preferable, but the design can be used without them. 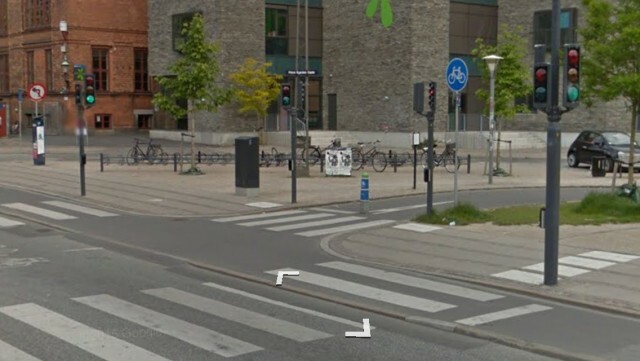 Another example of a junction from the same greenway in Copenhagen. This one shows how it can work in a more confined space. Above and the image below show the bollard arrangements, which are marked as “gateways”. Although there are no gates — the design replaces restrictive “kissing gates” which hindered or blocked access to many legitimate users on different types of bicycles, wheelchairs and prams. Unless we’re missing something, this design is a very welcomed improvement. It’s good for access. 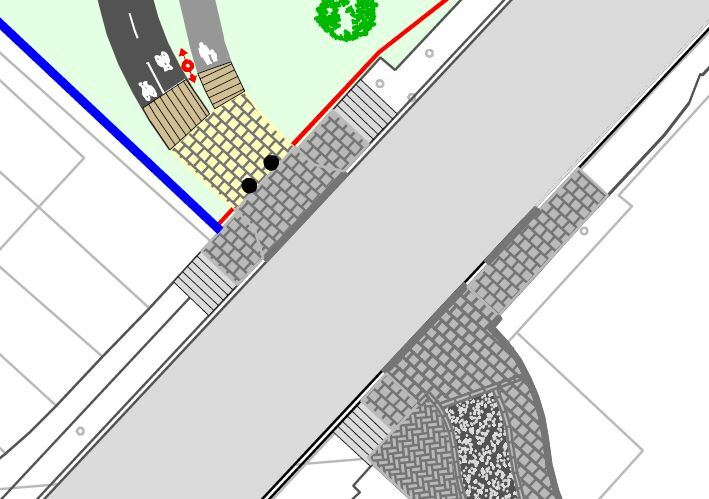 There might however be some work done to soften the look of the gateways — including grass around the bollards away from the paths and possibly bushes or other greenery around those outer bollards. Above is the current view just east of Cross Guns Bridge, between Phibsborough and Drumcondra. And below is the cross-section for this area. The cycle path is only 2.5 metres, while the footpath is only 1.5 metres. Both seem exceptionally narrow for a busy areas near the city centre. There could be an argument that green space should be maximised for the enjoyment of it, but the area is already very busy with people walking, running and cycling and adding more people into narrow spaces will not be relaxing and will cause conflicts. 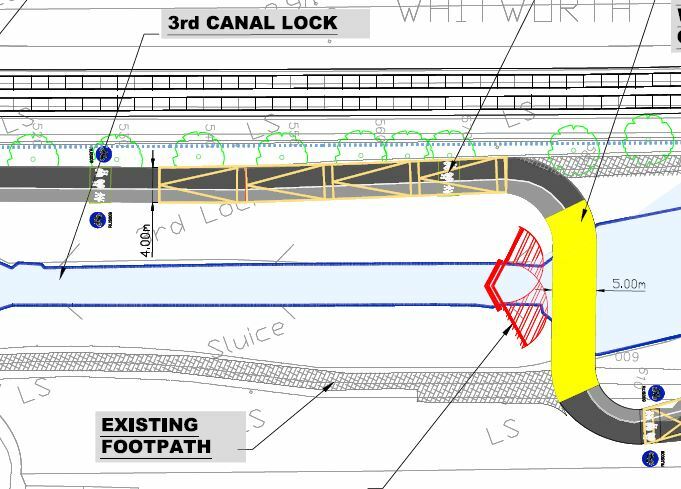 Having the crossover from one side of the canal to the other (shown below) relocated to the west of Cross Guns might allow for the main cycle route of this section to be on the south side while retaining the already busy space for walking and running on the north canal bank. This should allow for more enjoyable spaces for all users. 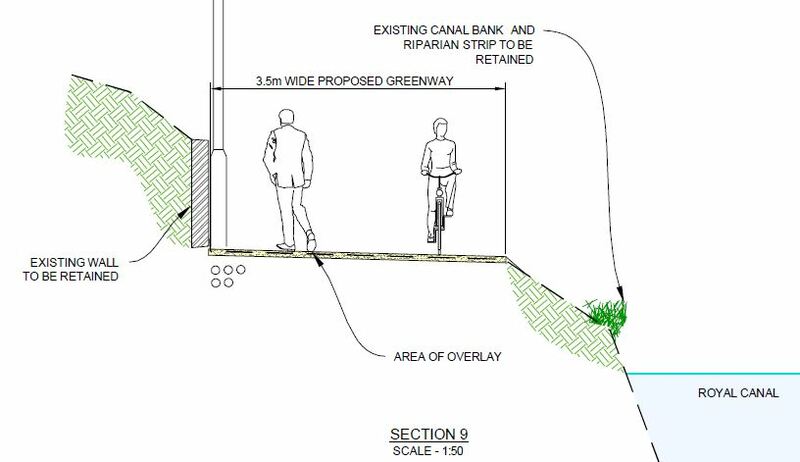 The above image shows the current plan for a cycle path and footpath crossover the river at the first canal lock east of Cross Guns Bridge. …The narrow widths of the cycle paths and footpath remain restrictive. 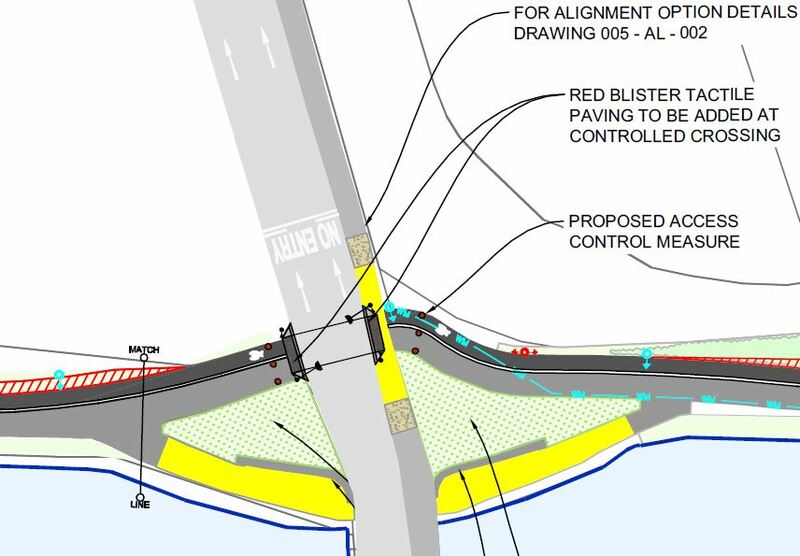 Due to concerns of moped use, there’s four “gateway” treatments with bollards between the cross over and the next road crossing at Binn’s Bridge. Binn’s Bridge links Dorset Street and the Drumcondra Road. There is no real need to keep the shared footpath design. Here’s a close up. Yield markings would be well-placed on the cycling entry points from the road to the greenway (shown in blue). The next roadway crossing at Clarke’s Bridge, beside Summerhill Parade, uses a similar design. 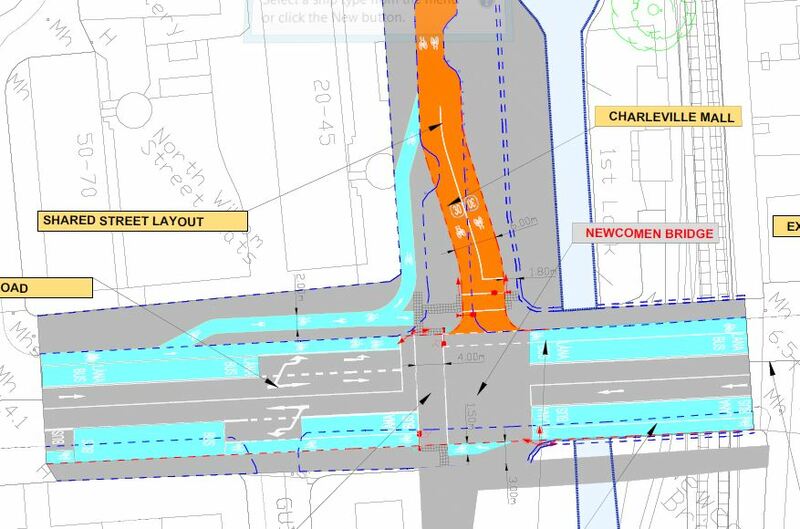 Does Summerhill Parade really need four traffic lanes? 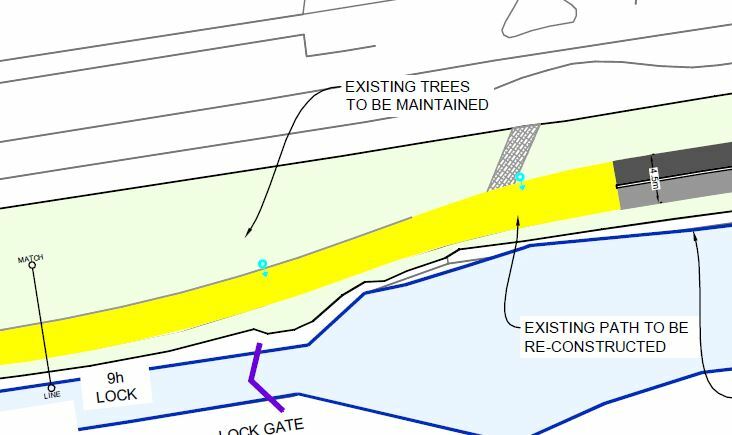 A good start would be cutting it down to two traffic lanes and segragated cycle paths on the street bridge over the canal and railway. The narrowing on both sides of the bridge at Summerhill Parade may look something like the above image from Street View. This would be a great improvement to cycling on the street but also to the street in general as traffic calming in this very residential area. 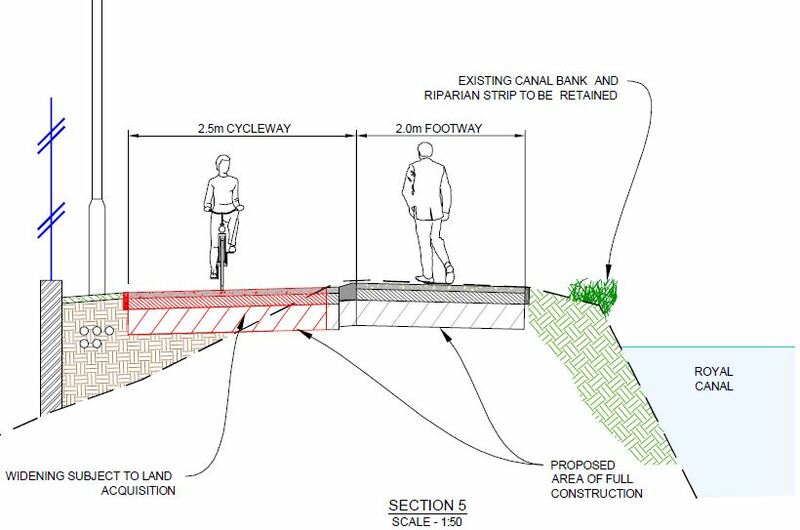 The cross-section between Clarke’s Bridge and North Strand Road shows reasonable widths for bot cycling and walking. Before getting to North Strand Road, the cycle path ends in shared use footpath space before the cycle route enters a shared street (orange) along Charleville Mall. The shared footpath area is not needed — the areas for cycling and walking can and should be clearly defined. The cycle path can be designed to connect to the shared street. 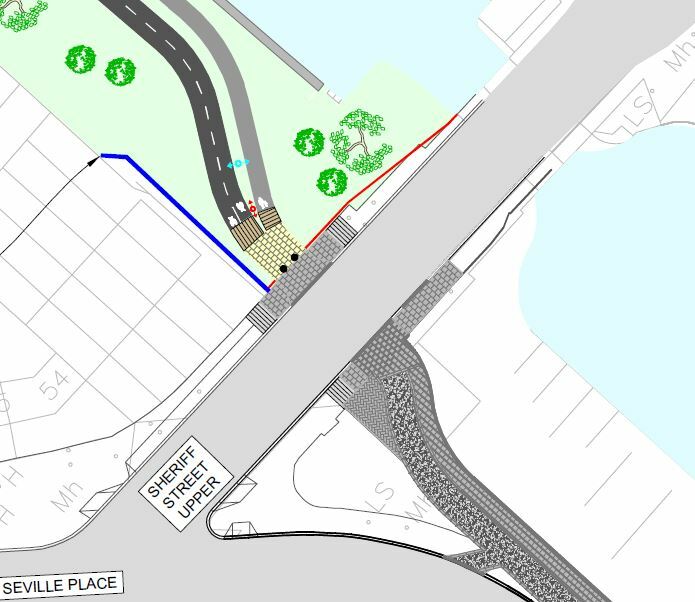 Using the current design will encourage people to continue to cycle on the footpath, even past the shared area. A closeup: There is no reason for bicycles to be cycled over the the water’s edge. The shared street includes parking and traffic calming. This is the junction with North Strand Road. North Strand Road is due to get a cycle route upgrade, it’s unclear if the design shown is what is being looked at for that route. Before the eastern edge of orange shared street on Charleville Mall, the cycle path should be re-established to link in with the next section of the greenway (not clearly shown above, but depicted in the next image). 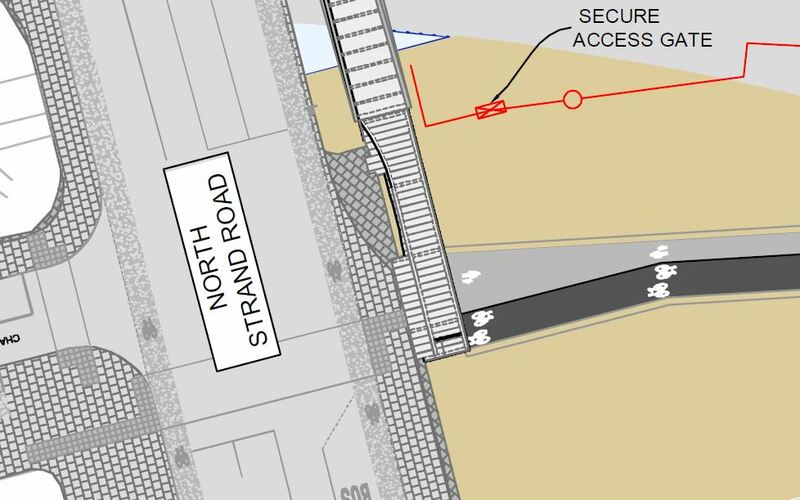 The above drawing and the following ones deal with the section from the east of North Strand Road into the Docklands. 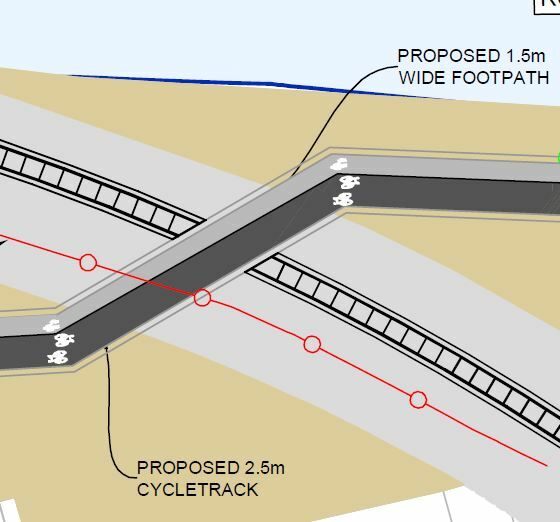 This section crosses over a railway track on a new bridge, between North Strand Road and the main Northern Line railway (which the cycle route goes under). From the Northern Line railway bridge to the Docklands, the route travels along what is now scrub land and what will be turned into a linear park along this section of canal. Above and the next two images below show the detail of the bridge or ramp over the railway. 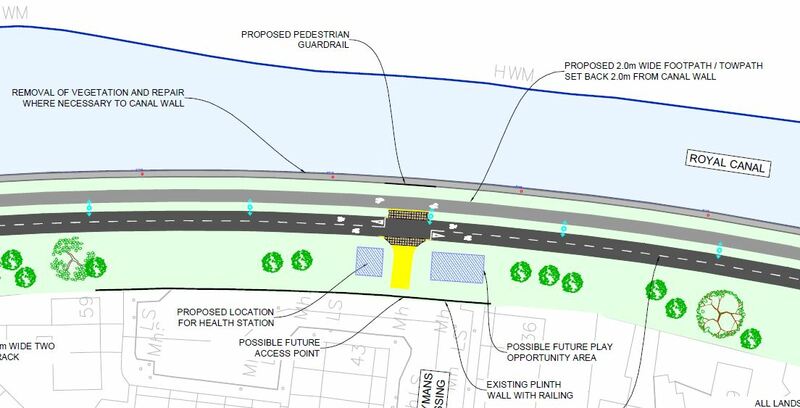 For what will likely be such a permanent structure, the width of the bridge should take into account of large movements between North Strand Road, the now second most used cycle route into the city centre, and the Docklands which is expected to grow as an employment area. 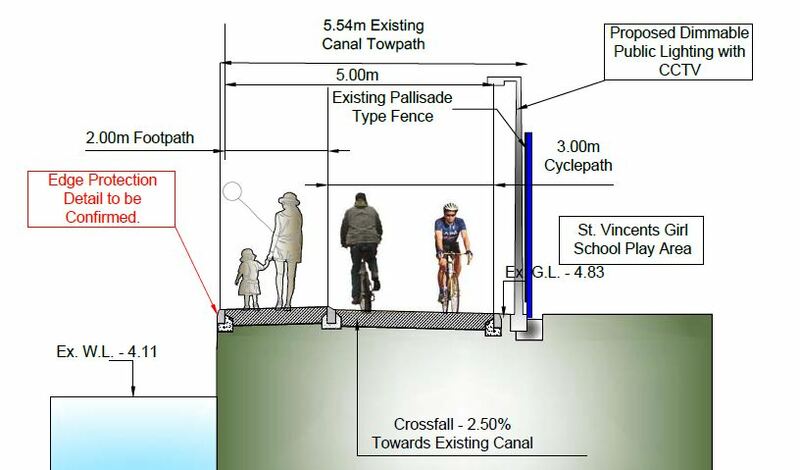 There should also be a solid protective dividing barrier between the cycle path and footpath — this would protect people on the footpath side from bicycles going down the ramp sections, where they will naturally pick up speed. Designs should take into account wider, longer and heavier bicycles, and they should take into account the size of large prams which will use the footpath space. The sharper angles rather than more natural curves, makes the width issue worse. 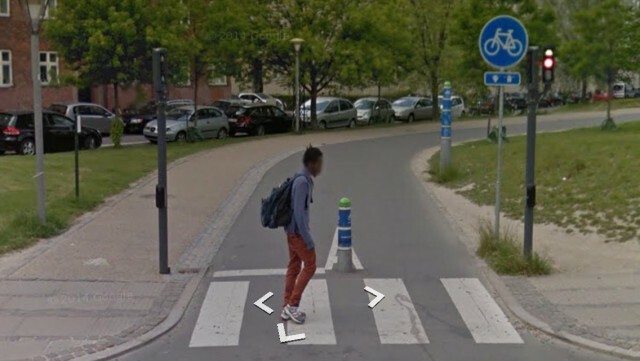 This section allows for good segregation between cycling and walking. This is a relatively good section. But the area is highly populated, so it should be design so that the cycle path and footpath can be increased if the route really picks off. On this section, there’s two examples of the cycle path yielding to areas and possible future secondary access points (which residents have objected to). Here at Sheriff Street Upper (with the Convention centre in sight), there’s more than than enough space for full segregation of cycling and walking. 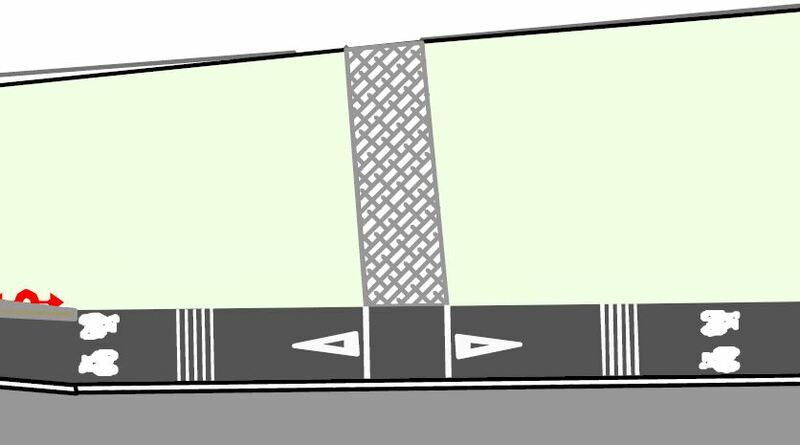 The bollard spacing on this section should be also confirmed to match the gateways design outlined above. A couple of questions spring to mind. Why does Dublin City Council not stick to international best practice when it comes to design? I cycle this route from Amien Street to Castleknock on a daily basis and find regular problems with broken bottles, dog litter, and vandalised surfaces etc. I would like to know who is going to maintain this much needed track? Hi, excellent analysis. Well done. An element that could possible be added is the popularity of the stretch from the 9th lock down to the 5th with ‘mini-scrambler’ motorbikes and mopeds. It’s one of those hard-to-manage perennials and requires some consideration. @ Tony: “Why does Dublin City Council not stick to international best practice when it comes to design?” — I’ve asked myself that more than a few times. I’m at a loss why many local councils and the NTA see a need for widespread use of shared use footpaths. Re maintenance: When councils take over the maintenance of routes they’ll have or they should have regular cleaning scheduled and they should also respond to reports via their own website or using the websites and apps like fixmystreet.com. @ Joyce: Yes, it is worth saying that while bollards replacing gates is welcomed in terms of access for legitimate users, a plan is needed for restricting, policing, and dissuading scrambler and motorbikes is needed. I cycle every day Ashtown to Docklands and I’m looking forward for that cycle upgrade. I hope that development will start from Sheriff Street Upper to North Strand Road section because rest of the route is fully passable. Tony made really relevant comment though. Some sections are really messy especially the one along Croke Park! I cycle most days in the summer from Leixlip to Porterstown (it’s impassable in the winter and I’m forced on to the back roads). I’ve been waiting for many years for that section to be upgraded, as well as the rough section from Porterstown to Blanchardstown village on the opposite bank. Any news on these? While I welcome this development, it will be at a cost if the green lung of the canal path is completely tarred over. 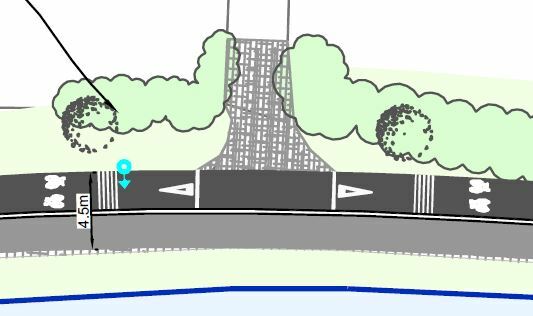 Would a narrower path not be a better idea further out to preserve the beauty of the canal? I am looking at cycling into work and using the portion from Drumcondra (whitworth rd) to Blanchardstown. Can anyone tell me is this portion of the greenway OK to cycle or are their any portions i have to leave it and is it straight forward enough? I’ve used that route a few times and it’s pleasant and straight forward. It should take you around 30 minutes. You will need to dismount for kissing gates at 5 locations as I recall. The surface is now paved the whole way but it’s a bit potholed from before Broombridge to the Rathoath Road crossing. The rest is of a good quality. You’ll want a good front light during the winter months as part of it is unlit, and also a bell as it can be a busy walking route in parts. There can be antisocial behaviour around Broombridge at times, but you can only judge yourself whether you feel uncomfortable. I’ve never found it too bad at peak times. As outlined above, the section from Ashtown back towards the city is to be upgraded so there may be some rolling closures in the near future but I have no information on that. At the 12th lock at Castleknock, the route ends and you use painted on-street cycle tracks to get to Blanch village. The direct route from the village to the shopping centre, however is on-road and a little more hostile. There are some large roundabouts in that area that you’d need to be quite confident to negotiate on a bike. Thank you both for your replies, very informative and useful. I was looking at possible routes from Swords to Blanchardstown and this looks far better than trying to cycle the back roads via Kilshane Cross.